Condition: Chûberi (middle part) of moss-green silk, top and bottom of light-brown paper, white&copper ichimonji, brown lacquer rollers. Original titled, signed and sealed wooden box. Some light spotting. 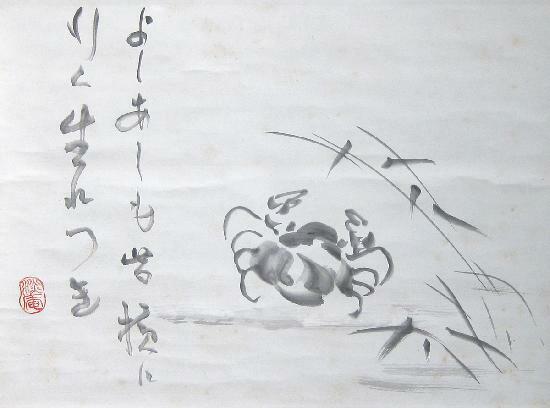 Literature: The poem refers to a "side-walking" crab and the reeds.